Eyelid surgery, also known as blepharoplasty, is a facial rejuvenation procedure that is designed to remove the bags that form under a person’s eyes with age. By removing this loose skin and tightening up the areas around the eye muscles, eyelid surgery replaces that tired, worn look with that youthful vibrancy your eyes are meant to have. Eyelid surgery is often combined with other facial procedures. The natural aging process causes the thin eyelid skin to lose its elasticity and stretch. The skin can start to fold and, in some cases, hang down over the edge of the upper eyelids, impeding vision. The lids might feel heavy. Aging also causes the eyelid muscles to weaken, and the upper eyelid to droop. Fat may protrude through the weakened muscles in the lower eyelids and cause undereye “bags.” And, fine lines and wrinkles can crop up in the delicate skin around the eyelids. All of these factors distract from the natural beauty of the eyes, and give the face an exhausted, sad or aged appearance. Creams and lotions won’t do anything for loose skin and fat deposits. The only solution is surgical intervention to eliminate redundant skin and fat, tighten the eyelid muscles and rejuvenate the eye area. The entire face looks younger and more pleasant after eyelid surgery. Am I a Suitable Candidate for Eyelid Lift? 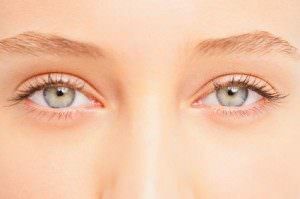 If you wonder whether you qualify for eyelid lift, it is best to schedule a consultation with the team at Atlanta Plastic & Reconstructive Specialists. Our board certified plastic surgeons will inquire about your aesthetic concerns and desired outcomes. The surgeons will also examine your lids to determine the cause of the problem(s) and decide whether eyelid lift is the best solution. If it is not, the surgeon will explore alternative treatment options. Eyelid lift is typically performed on an outpatient basis. Anesthesia is administered. The procedure takes between one and two hours, depending on the specific surgical steps. During the operation, the eyelid surgeon makes small incisions within the natural lines of the upper and lower eyelids. The incisions are placed carefully so that any scars will be concealed within the folds of the eyelids. Through the incisions, the surgeon removes redundant fat and tightens the eyelid muscles. Wrinkles are smoothed and excess skin is trimmed. The incisions are closed with small sutures. Recovery from eyelid surgery is short and usually complication-free. There may initially be mild swelling, bruising, irritation or discomfort, but these side effects can be managed with oral medication, cold compresses and soothing ointment. If you are self-conscious of saggy eyelids and puffy undereye bags, contact Atlanta Plastic & Reconstructive Specialists for help. To schedule an informational consultation with our board certified plastic surgeons, call us at (404) 255-2975 today.